Back inside again today. Which shows piss poor planning as it is a lovely day and perfect for clearing out the outbuildings; which we opted to do in the cold and rain. Having taken another carload of books to Amina we had a look at the heaving bookcases in the Gin Gan and started all over again. While I sorted through hundreds of books the Boss started packing up the lots for auction. It was a relief when Mel from the British Heart Foundation rang to arrange to come and pick up his second load. 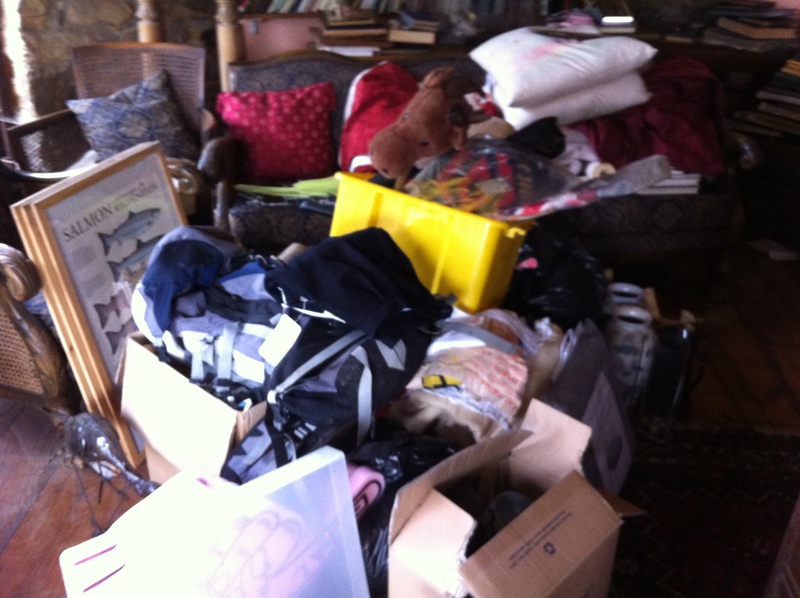 For that means that by Tuesday evening this pile will have gone. My father is a bibliophile with a particular interest in wine and racing. Consquently I have a huge collection of books going back to the early fifties, many first editions. My job this weekend is to go through the book pile and decide which are worth going to auction and which are probably not. This was one job I didn’t know how I would cope with. But it was easier than I thought. He gave them to me when he moved permanently to the States, he knows I will not read the full set of the Compleat Imbiber for example. But somebody else will enjoy it as much as he did and it is worth quite a lot of money. The real eye opener was a cookery book “Lady Maclean’s Cook Book” Mine is a pristine first edition. It has been put carefully to one side. I think we are coming towards the end of the tunnel. It has taken six months to get where we are now and there is still a lot more we can do. But right now I am enjoying the space, the feeling of freedom and the great sense of relief to see so much clutter go out of our doors. Will I ever go back to my old ways? I think not. I have noticed that as I move around the house I am instinctively picking things and putting them in the charity pile. Thus went a pair of glass candlesticks, some towels, a selection of scarves and a pair of boots without even thinking. Shopping holds little appeal unless it is something I really need or really want. The former is now discussed and depending on severity of need bought now or put on the rolling shopping list. The latter is put on my birthday list. Come my birthday I am fairly sure that I won’t want half the things on there. Today we moved outside. 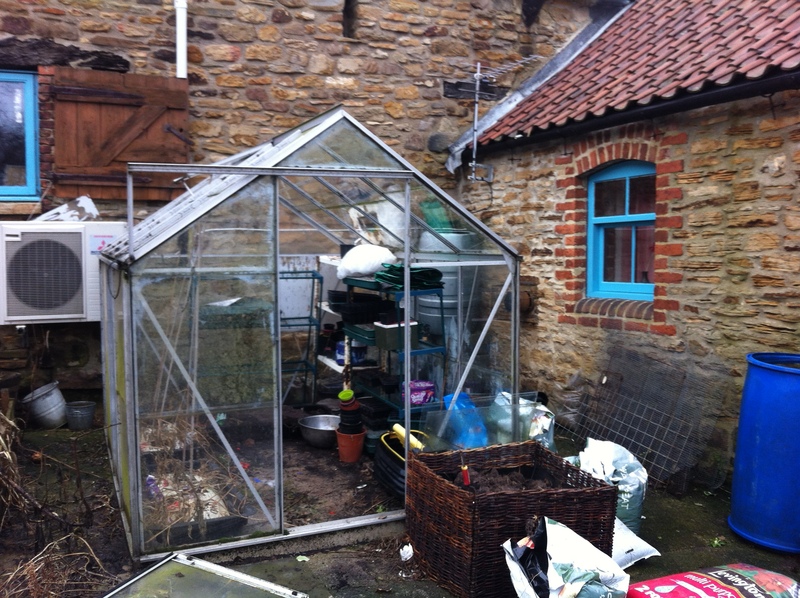 We cleared two of the back outbuildings yesterday but they were relatively straightforward. Today we headed into the boiler house and courtyard. This is mostly garden/building/tools/OMG what do we do with this rubbish. I have to confess that I lost some of yesterday’s enthusiasm as I tried to restore order in and around the greenhouse. It had got so bad that I almost found myself unable to listen to Gardeners’ Question Time on the radio my shame about my own garden was so bad. Most of the stuff is pure rubbish. There are some new tyres (for a car we no longer own) that are good to go but little else. I didn’t realise it was possible to own as many plastic flower pots. If I were to plant enough seeds to fill Hyde Park and pot them all on individually I would still have some to spare. Half a gate – really? Lots of broom handles without brooms, perhaps Hogwarts would like them for beginners. Assorted tools that look positively lethal and are probably banned in most civilised and possibly even uncivilised countries and the obligatory paint pots. Half empty, colours we no longer have on our walls and impossible to open anyway. In a way this is easier than inside purely because most of it is pure junk. There is little need to wonder if something is worth keeping “just in case”, for even the most agile lateral thinker would have a hard job finding something that most of the stuff could be practically used for. You can see the finished product tomorrow. We are going back outside now! … you will fill it. Today we have started on the outbuildings. While the Boss emptied plastic storage containers of stuff we didn’t need I filled them with books to take to Borderline Books. 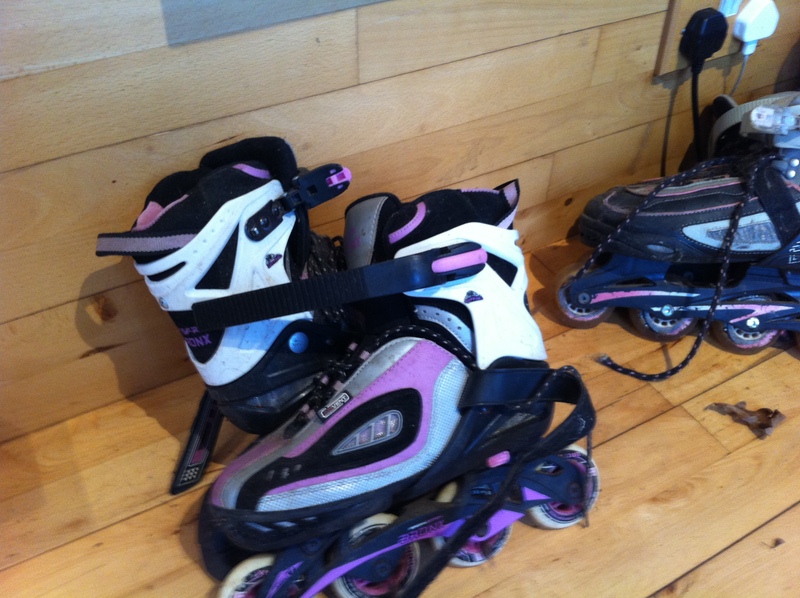 I have no intention of taking them home again but I think Amira can actually put them to good use. While the boxes were at our house we used them. We put things in them and then put them away out of sight. Quite, out of sight and never used or seen again. I am not suggesting that you empty your house of every storage unit. Most people need a wardrobe, a bookcase, somewhere to keep their knitting/fishing tackle/whatever rocks your boat. 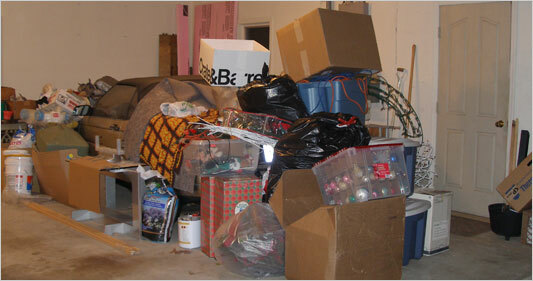 Nobody needs boxes of books or clothes or toys that live in the attic or cellar or outbuilding. 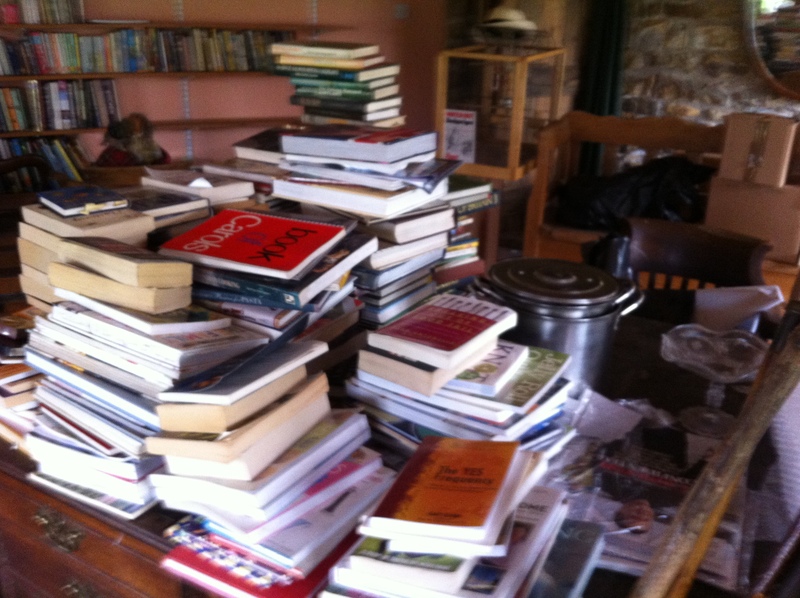 Decluttering is not the same as organising. I know. I am a champion organiser. Before I started this journey I would have a regular declutter. 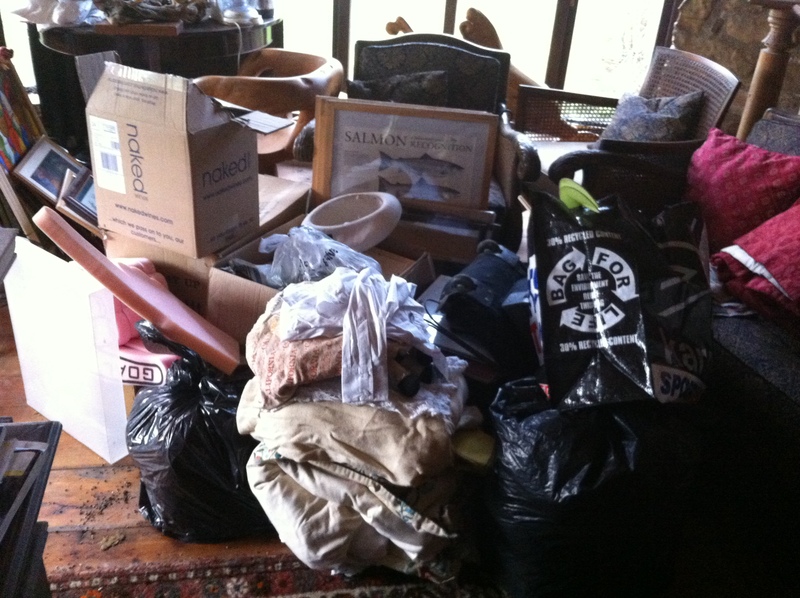 I took everything out of a cupboard put some of them into the charity bag and then tidied up everything that was left. Sometimes I got really enthusiastic and devised a new storage system. This was often combined with a trip to IKEA for some funky cool storage boxes. As you can see, what I was doing was reorganising the stuff I already had. 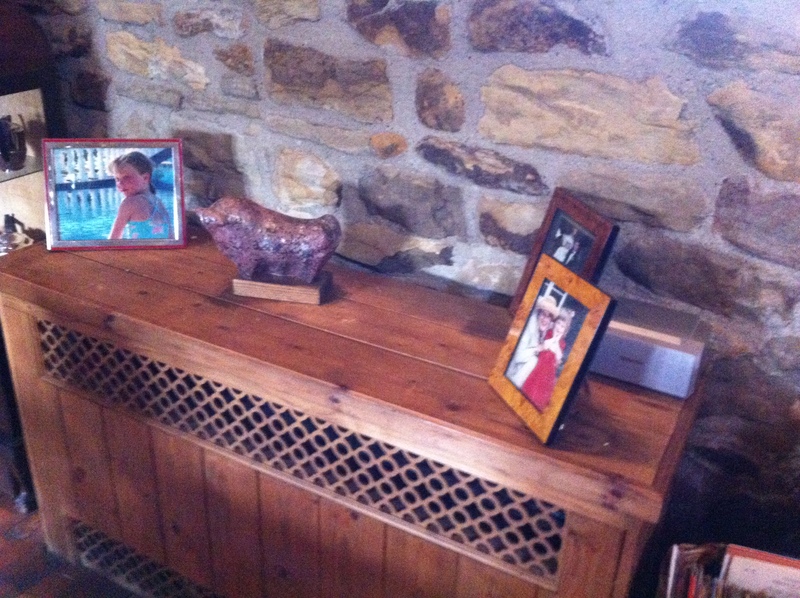 The boxes in the outbuildings and the kists full of books were testament to that. How the mighty are fallen. Operation Purge 2013 went remarkably well. The house has taken on a new lease of life, I am loving my considerably more modest wardrobe and even the Christmas decorations were cut by half and rehomed this year. But, and there is always a “but”. Not all is quite as it seems. 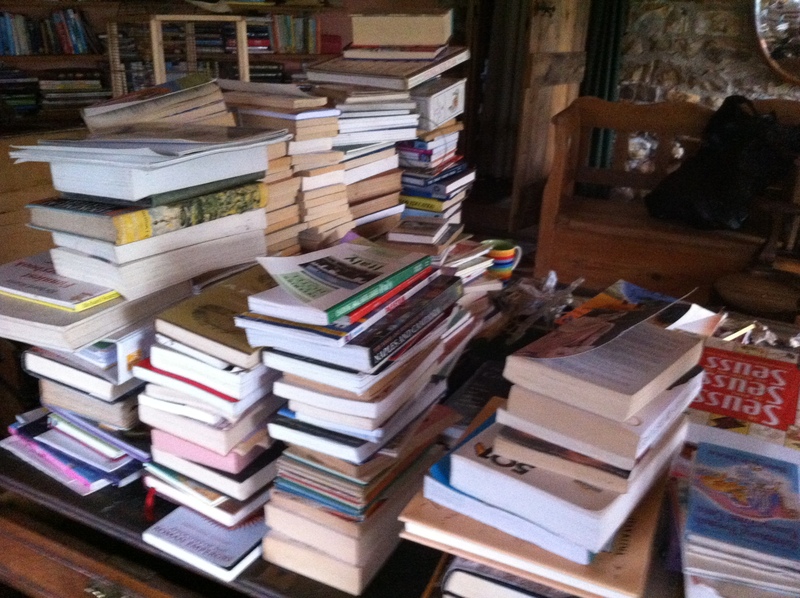 First I have purged more books but haven’t got around to taking them up to Gateshead. Then there is the “stuff that must go to auction”. 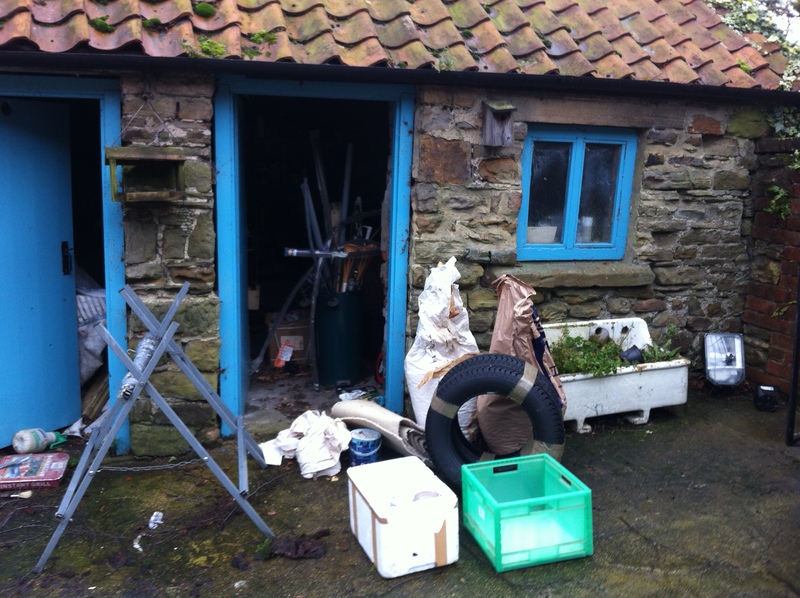 There is also the “stuff for charity that has been collected since Christmas” and finally there is the “stuff in the outbuildings”. The latter is the most scary. Regular nagging by the Singers (who are keen for us to tidy up and move to somewhere that is within a day’s walking distance to a bus stop) was starting to get on my nerves. Hadn’t they noticed quite how much had been done already, didn’t they notice that I did have other jobs other than chief clutter cutter? However, they were right. Put a whole load of stuff of Freegle. All the decluttering in the world is not going to have any effect if you don’t stop the stuff coming into your life in the first place. We’ve all been there: cleared a cupboard or a room and then six months later it has reverted back to type. So this year I am recording all my expenditure. Every single last penny. I would like to see whether the expenditure in various areas matches up to the pleasure we got in those areas. Groceries are essential, but at the end of the month if I have spent say £200 on groceries and yet we can’t recall more than a handful of lovely meals then it was not money well spent and we need to work out why. Our time here on earth is limited as are our funds. I intend to make sure I get the best out of both of them. Today was “hair day” on 40+ Style Challenge. I challenge ANY woman to declare that she has not wasted hours wishing her hair was finer/thicker/longer/curlier/straighter. There is a lot that a good hairdresser and a good cut can do but few of us have a hairdresser at our beck and call. We are the DIY brigade, cut and colour at the salon and otherwise it’s up to us. For many years I used shampoo. Only shampoo. No conditioner, no fancy hair packs, no serums, no oils, nothing. And my hair was fine. Then in my thirties it became rather listless. I succumbed and bought a conditioner, whooooo silky hair. I was hooked. I had oils, serums, conditioners, leave in conditioner sprays, heat protectors, sun protectors. My hair was better defended than Guantanamo Bay. But the problem with all that stuff is that it doesn’t half take up a lot of space, and it all comes in plastic bottles etc etc. So I went on a detox. I haven’t gone “no ‘poo” but I started buying whatever shampoo and conditioner was on special offer. One was pretty awful but the rest have been fine. I still have plastic bottles but I’m working on that. I am going to give solid shampoo a go. The point is that my hair has not fallen out/gone green/turned to straw. I am old enough to remember beer and vinegar rinses, egg and oil hair packs and the magic of coconut oil. At the end of the day the stuff on the top of my head is dead keratin. I’m going to look after it, but I do not need to waste my money nor clutter my bathroom with a whole load of products.